It is known to the world that the Kurdistan region in Iraq is facing daunting problems as it combats the largest global terrorist threat, the self-proclaimed Islamic State, or ISIS. The courage of the Peshmerga, the Kurdistan army that halted ISIS' advancement two years ago, and which keeps counting victories over this vicious terrorist group, has entered world history. Add to that the fact that these brave men and women are fighting with old weapons, unlike ISIS fighters, who confiscated modern and heavy weaponry from the Iraqi army that the U.S. provided. Fearing the threat of ISIS and political instability, investors and foreign companies left Kurdistan, which had a sizable impact on the region's economic development. In addition, since February 2014, the Iraqi central government stopped paying its financial obligations to Kurdistan, all while more than two million refugees and internally displaced people of all ethnicities and nationalities found refuge in the Kurdistan region, fleeing ISIS. To address these challenges, the government in Erbil has launched a set of reforms to create a more efficient administration and to diversify the economy, which is still heavily dependent on oil and gas exports. The liberation of Mosul is expected to send between 500,000 and 1,000,000 additional refugees to the Kurdistan region, and will undoubtedly have abysmal effects on its fragile economy. The international community will need to commit to long-term aid and financial assistance, which will be crucial to defeating ISIS not only militarily, but also their entire ideology. The fear is that if basic living conditions for refugees are not created and sustained, additional resentment might develop and new terror groups could emerge. The process of finding permanent homes for refugees will be slow at best, as ISIS destroyed numerous villages and placed landmines in others. Those mines are placed within buildings, which make them almost impossible to neutralize, and are planted there with the sole reason of potentially killing more people who try to dismantle them in an effort to inhabit the villages. Just a few days ago, Peshmerga Colonel Peshkaft Zuher Khalid was killed while attempting to dismantle a mine left by ISIS in Tulaband village. He was 34 years old and left three sons and a daughter behind. After Mosul is liberated, the international community must prepare for long-term humanitarian aid. Talks about a post-ISIS future for the Mosul area are already well underway, and Masoud Barzani, the Kurdistan region president, already supported requests by Yezidis, Christians, Shabaks, Kakais, Armenians and Assyrians, for independent administration and self-rule of Nineveh province. The liberation of Mosul will be a huge leap forward for the Kurdistan region. 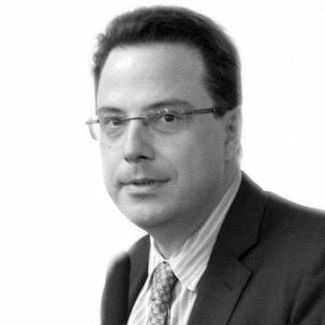 After ISIS is repelled further from its borders, investors are expected to start coming back. Plenty are already eyeing ways to enter or re-enter projects and foreign ministers, ambassadors and other officials are meeting daily with Kurdistan government officials. And rightly so, as opportunities for cooperation are plenty. Kurdistan, formerly known as the "breadbasket of Iraq," has 1.5 million hectares of irrigated lands and 70 percent of the grain production in Kurdistan is organic. In addition, Kurdistan annually produces 1.6 million tons of wheat, of which it only uses 650,000 tons, leaving one million tons available for export. Yet Iraq is not buying wheat from the Kurdistan region and is importing it from Iran and Turkey. Furthermore, the region's fruit production is also substantial. The Barwar Bella region alone (Duhok province) produces more than 28,000 tons of apples, and Halabja produces over 50,000 tons of pomegranates on an annual basis. Opportunities for U.S. businesses are plenty in the agricultural sector, where technology is needed for further growth. Now is the time to start exploring these opportunities through the union of farmers in Kurdistan and connecting to the existing agriculture private sector for exploring joint business opportunities. 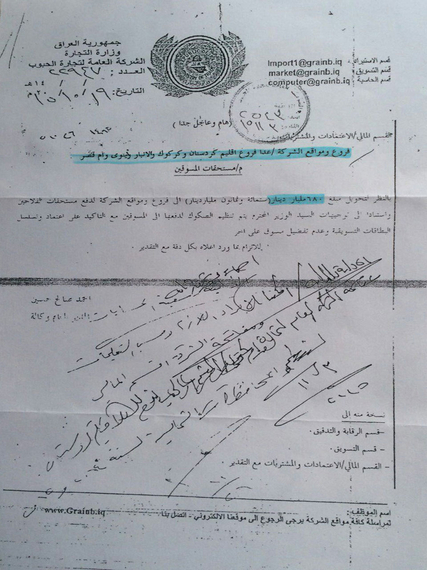 The extent to which politics undermine economics in this part of the world is proven by this letter from the Iraqi Ministry of Commerce issued on Oct. 19, 2015, in which instructions were given to not honor the payment for the already delivered agricultural goods from Kurdistan, Kirkuk, Anbar, Nineveh and Om Qasr but to pay farmers throughout Iraq with allocated 680 billion Iraqi dinars (around $600 million). In Oct. 2015, the Iraqi Ministry of Commerce issued a letter instructing the government in Baghdad to pay all Iraqi but not Kurdish farmers for delivered agricultural products to Baghdad in 2014 and 2015. 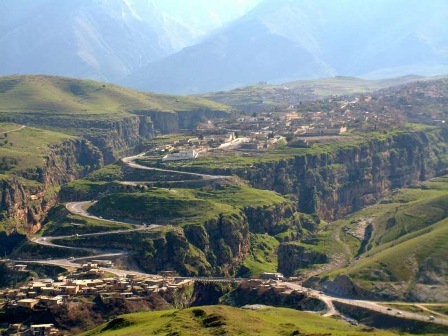 A lack of property rights is a huge problem for economic development in the Middle East, and so it is in Kurdistan, a condition inherited from Saddam's times. The KRG should look to reform the agricultural sector to allow for individual ownership of the land, to encourage farmers to use owned land as a collateral in obtaining bank loans to expand their businesses and foster international business cooperation. It is a win-win situation where the government will have increases in tax revenue and the agricultural sector will be a strong and stable pillar of private sector business. To boost revenue, requests should be made to the U.N. and other international agencies that will be instrumental in the rebuilding effort in post-ISIS Mosul and other territories, to buy wheat and other products from local farmers in the Kurdistan region, instead of importing readymade products for their needs from neighboring countries. Before ISIS, the Kurdistan region was a very popular tourist destination and would host over three million visitors annually. In 2014, Erbil was named the "Capital of Tourism" by the Arab World Tourist organization. 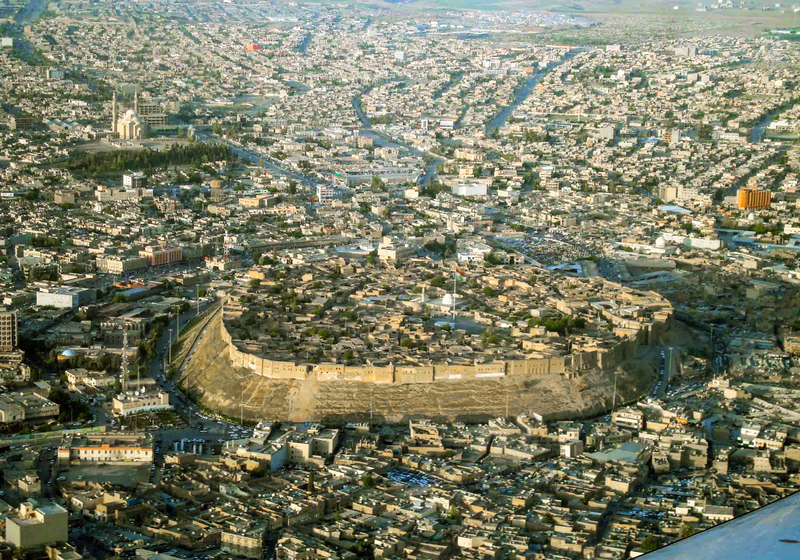 Understandably, the very present fear of ISIS significantly decreased visitor numbers, but in the last two months tourism started to pick up again as security in the region improves. Even though ISIS is still a major danger for the region, its threat to security is significantly diminished within Kurdistan. 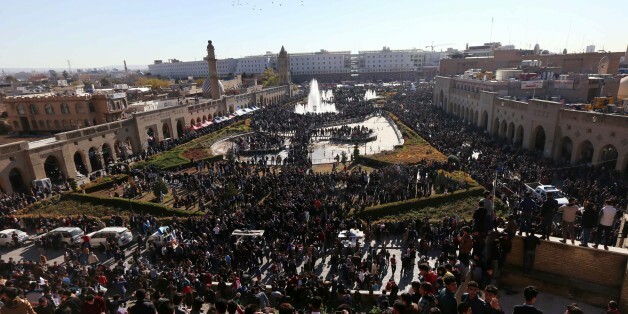 On July 7, the second day of Eid, 18,000 visitors entered Kurdistan, and nearly 200,000 visited the region in July, mostly from the rest of Iraq. The Kurdistan Regional Government is in the process of negotiating agreements with Turkey, Iran, Armenia, Kuwait and Jordan on group tourism to make it easier to obtain visas for organized group travel through security check points. The Kurdistan Tourism Guide, an excellent smartphone app, and the General Board of Tourism website, are available in five languages and are a great tool to discover the hidden beauties, the cultural and historical treasures of the Kurdistan Region. During my recent visit to Erbil, I visited the small but wonderful Institute and Museum of Stones and Gems, which is privately owned by a Kurdish family, located at the heart of the ancient Citadel in Erbil. 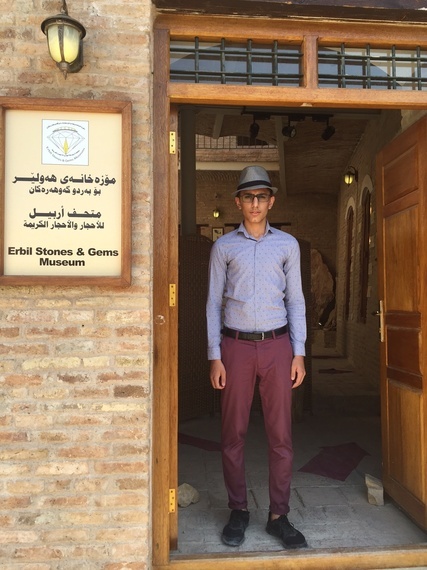 I made a promise to this young man (in the picture) to not only mention the museum, but to also to spread the word about the Kurdistan's tourism richness. His determination to create a life in spite of all the imposed difficulties was a very humbling experience. I truly admire the spirit of the people in Kurdistan, tirelessly working to reinvent their lives and to create a better future. As the government officials in Erbil often say, "we've made mistakes, but we are now correcting them." This tends to be true, and although there is much work to be done and the road ahead is long, the Kurdistan region is on the right track.